'Tis the season. Carols, mistletoe, fat pants. Anyway, here's a little recipe to make you want to run for your, um, yoga pants. 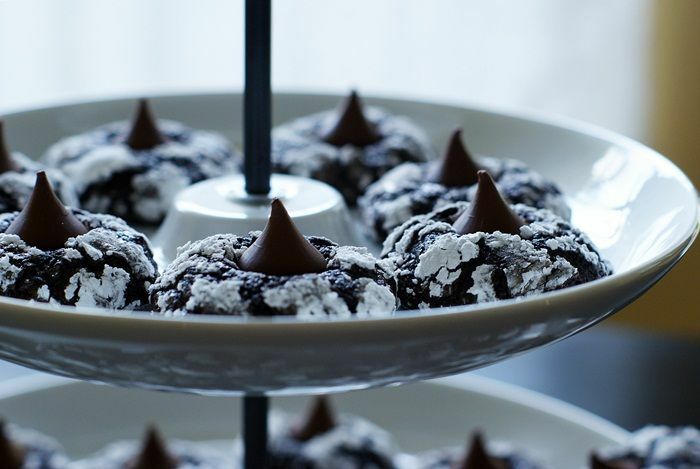 The cookie is a little brownie-like, and topped with that perfect Hershey's Kiss. Chewy, chocolatey, minty...mint always makes dessert so refreshing. Like, I could eat 12 of these cookies, and it's really just like freshening my breath. Be sure you get PEPPERMINT extract. 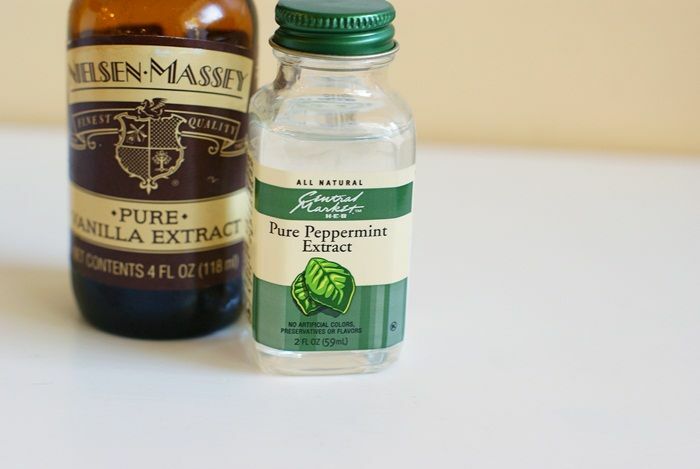 Mint extract is more spearmint...and we don't want that. Line cookie sheets with parchment. Preheat oven to 350. Whisk together the flour, cocoa, baking powder and salt. Set aside. 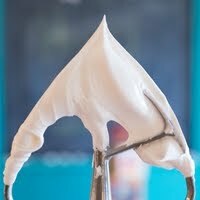 With an electric mixer, cream the butter and sugar until light and fluffy. Beat in the eggs and extracts, beating until combined and scraping down the sides and bottom of the bowl as needed. Gradually, add the flour mixture, beating on low just until combined. The mixture will be very sticky. Place the bowl in the refrigerator and chill for 30 minutes to 1 hour. 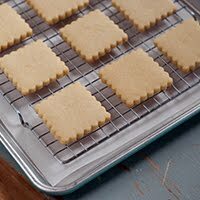 Use a teaspoon cookie scoop (or a spoon) to scoop generous teaspoons of dough onto the prepared cookie sheets. Place the powdered sugar on a plate. 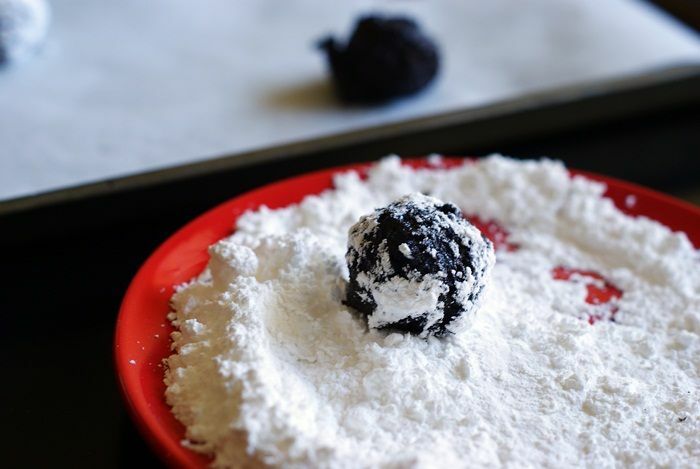 Gently roll each ball of dough through the powdered sugar until coated. Place back on the cookie sheet. 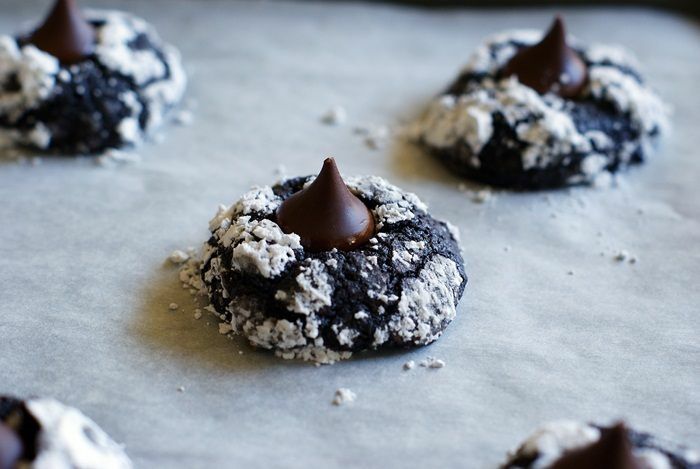 Remove from the oven and immediately press a Hershey's Kiss on top of each hot cookie. Press firmly, so that it doesn't pop off. Let the cookies sit on the sheet for 1-2 minutes, then remove to a wire cooling rack to cool completely. 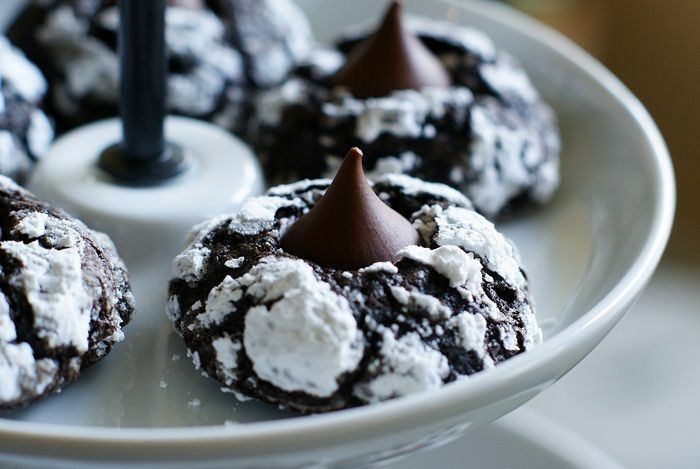 You can find more cookie recipes for the holidays (and ANY day) at the Hershey's Cookie Headquarters where I was lucky enough to visit last month. Thank you, Hershey's! Bring on the YOGA pants. 'Tis the season. Ya, I also live in fat pants (unless I have to go out). Ha! Ha! 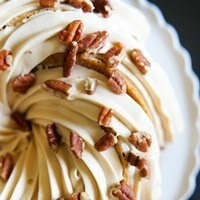 Thanks for this yummy looking recipe, and just in time for the holidays. these look fantastic Bridget! I love the colour contrast of the dark and light! mmmmm! 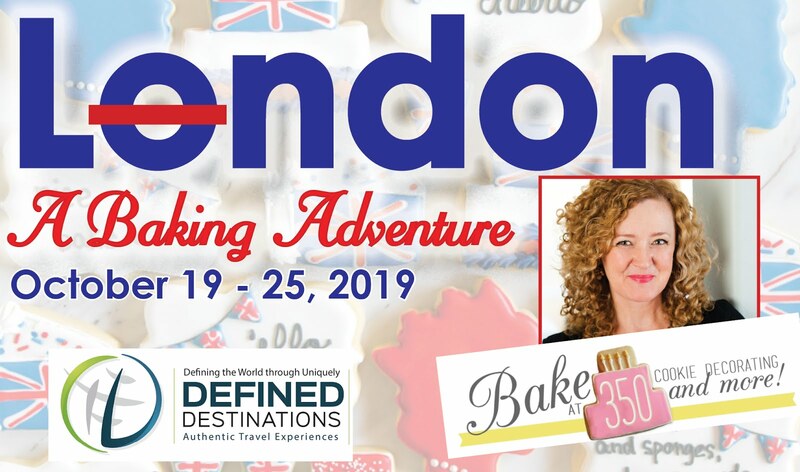 I have just put these on my holiday baking list! Hehe. I love my yoga pants. I just bought a new pair, and I was eyeing up a lululemon pair - gifts for self? I love crackle cookies, and these look over the top with the Kisses. I may need to add the Mint Kisses to mine, though. Yes? Perhaps. I am obsessed with the craft of your cookies! And so basically, you're saying these are like tic-tacs? So I can eat them by the handful? Perfect! These are perfect...and yoga pants season it is! 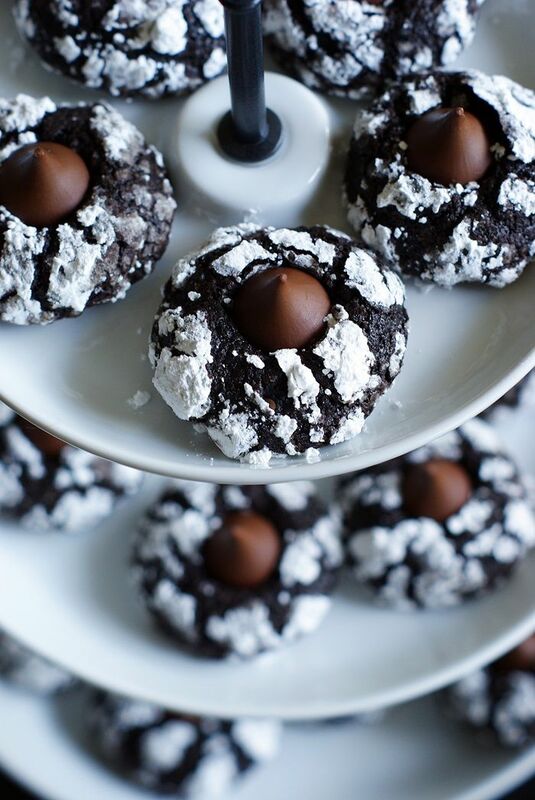 These couldn't be more perfect for holiday baking! Yum! 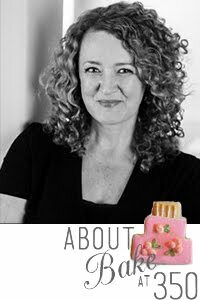 Oh these cookies are absolutely amazing looking Bridget! stop it. i think i could eat 100 of these! What I love about recipes like this is that they are simple, but look like you spent hours making them and in my house I let people think that. Christmas is about laying around in your "comfy" pants eating yummy cookies like these!! Great minds think a lot. I did a different version of peppermint or candy cane Christmas blossoms on my blog today! Yours look amazing and I may just have to try these out. Thanks for the recipe. I love that your husband doesn't like the term "fat pants" that totally made me giggle. What a great idea for Christmas time! The mint-lovers answer to the Peanut Butter Blossom....I'll definitely be trying these. These look amazingly delicious! 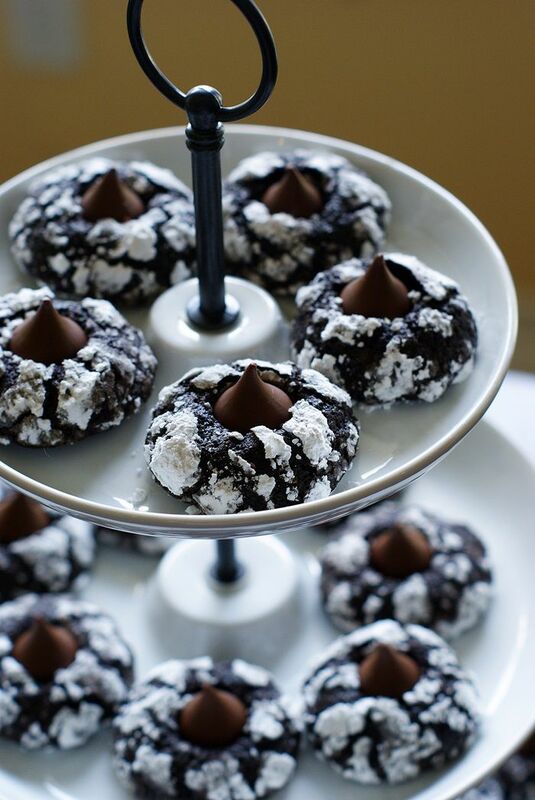 I just made Peanut Blossom cookies with dark Hershey's kisses that were terrific. You'll find the simple recipe on my cooking blog. I'm looking forward to reading your other posts. I have some non-peanut butter loving friends *gasp* and I've never thought of making non-peanut butter blossoms before, genius idea! These look divine! Would the candy cane kisses be too much?? Maybe lose the mint in the cookie and add the peppermint up top? Bridget all the photos of these cookies are beautiful! 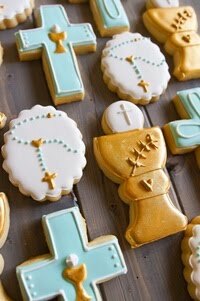 The cookies look and sound scrumptious. These look great! I call mine comfy pants. Darn. I made it to December 6th. Now it's time to break out the fat pants. This is exactly the type of recipe I was looking for the other day! 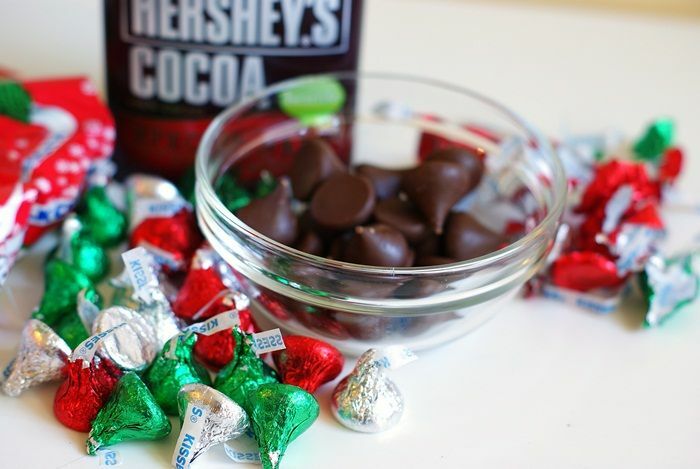 How do you think they'd be with the peppermint Hershey Kisses? you're hilarious. i am the yoga pant queen! 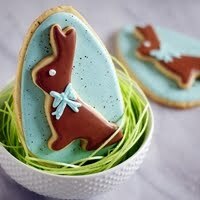 these cookies look so good, and I don't even like chocolate! Oh, Bridget. I love you. You crack me up. I wear yoga pants pretty much every day. Well here I am in my yoga pants with 4 dozen of a very similar cookie tempting me for breakfast! I made some over the weekend and like your addition of a hershey's kiss. Yum! I love my fat pants. Yoga pants IS a pretty euphemism, though. I'll give Mr. E that. :-) Also, may I have 3 dozen of these for myself? Mmmm. I'm a maniac for chocolate/mint. Hello there sweet little Hershey's KISS that always reminds me of my Mamaw and her candy jar! These look yummy! I love anything coated with powdered sugar! And I live in YOGA pants-year round! This sounds amazing. 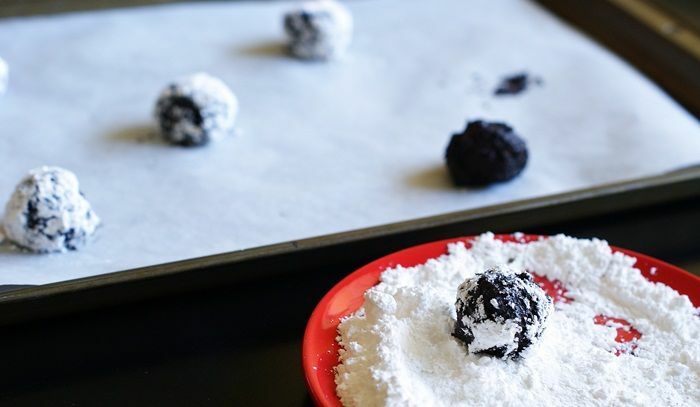 How many cookies does this recipe yield? Perfection! I love chocolate and peppermint! 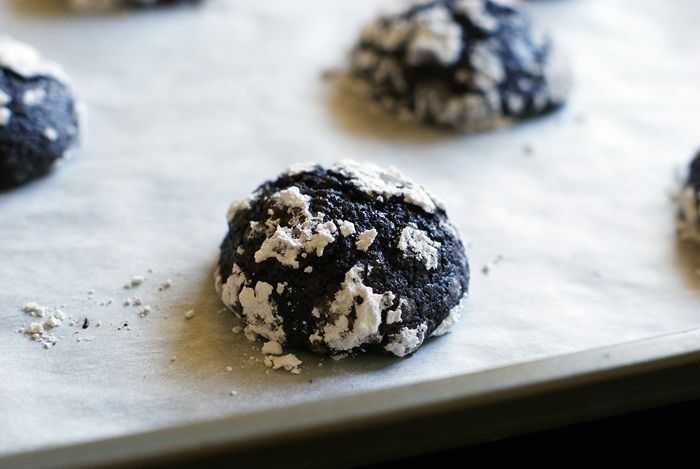 These kind of snow topped chocolatey cracked cookies have been on my to do list for weeks now. I just love how Christmassy they are. Beautiful. Any advice for preparing ahead of time? 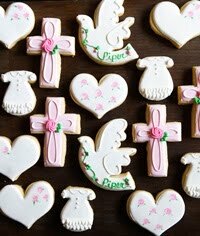 I'm going to a cookie party on a Sunday afternoon, but I'm going to be away from my home the 4 days prior to that. Could I make and freeze the cookies, or at least refrigerate or freeze the dough for a few days? Those are gorgeous. Love mint chocolate, especially now. Can't wait to make this recipe! Not sure if I missed it, but how many does it make?? hi how many cookies does this recipe make? This is a before or after dinner mint that packs a lot more than a refreshing feeling after you consume it. This is pure delight for your taste buds. Approximately how many cookies will this recipe yield?